Termite damage can cost homeowners thousands of dollars. Not only will these insects diminish the value of your home, but they’ll also undermine the overall integrity of the building. As a Connecticut Homeowner, investing in termite prevention and control is essential. If you’ve already spotted these bugs swarming on your property, Millette Pest Control can implement a fast-acting and wholly effective, termite prevention and control plan on your behalf using the proven Sentricon® System. Although there are a number of extermination products that homeowners can purchase and use on their own, these are rarely effective at eliminating infestations entirely. That’s because most store-bought treatments are only capable of eliminating adult insects. They do not effectively target unhatched eggs or bugs that have yet to reach the reproductive stage. To get rid of termites, you need a bait they love even more than wood. That’s what Millette Pest Control can do with the Sentricon System. The bait, a part of the Sentricon® System with Always Active™ technology, protects homes when it is placed inside Sentricon System stations placed around the perimeter of the home. Termites discover the bait, feed on it and then deliver its slow-acting chemistry to the termite colony. The active ingredient in the bait, disrupts termite molting, thereby eliminating the entire termite colony. Routine termite control attempts a blocking method — applying up to hundreds of gallons of insecticide into the soil to create a barrier around the home to either repel or kill termites as they try to get to the wood in the home. 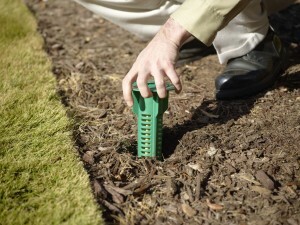 The better way to protect a home is to simply eliminate the termite problem altogether by using a baiting system. 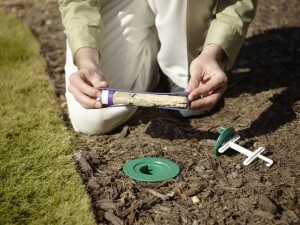 Ready to learn more about Termite Prevention and Control with the Sentricon® System?